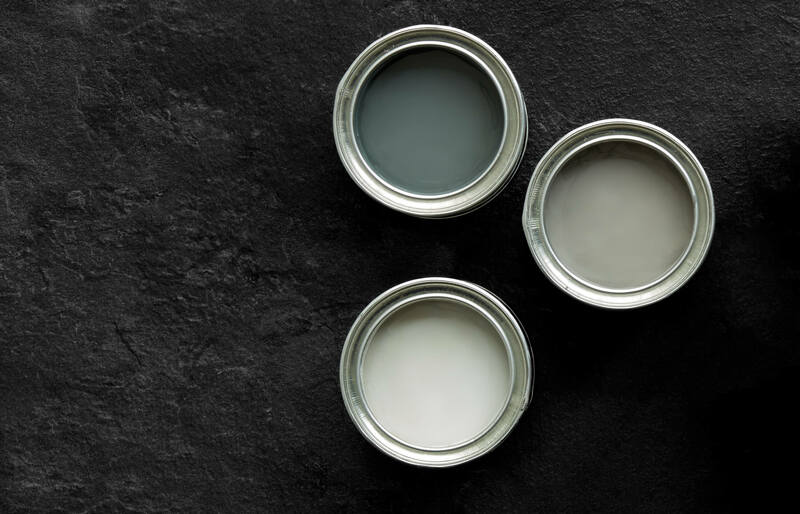 Our carefully curated paint palette allows you to go neutral, bright or bold in the kitchen. 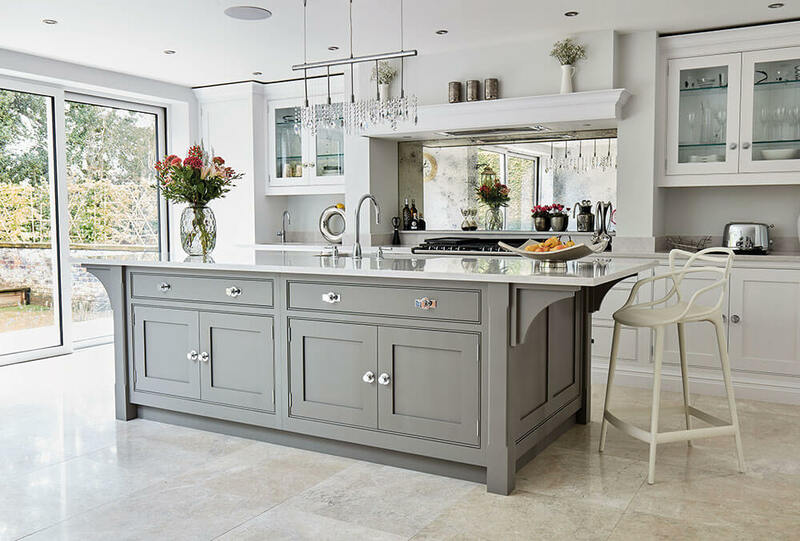 With a plethora of colours to choose from grey kitchens continue to top the wish-list for many style-conscious homeowners. 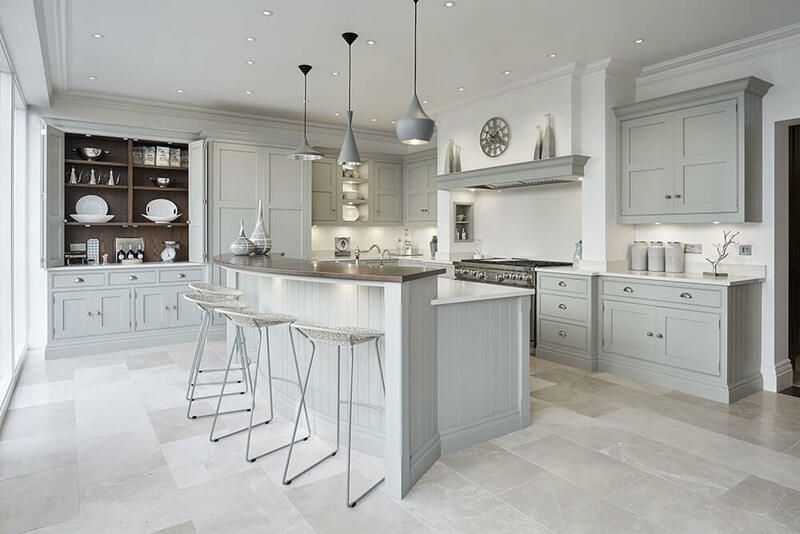 From pale shades that sooth to darker tones that add depth, grey can transform a kitchen design, adding character, impact and timeless elegance. Colour sets the tone. 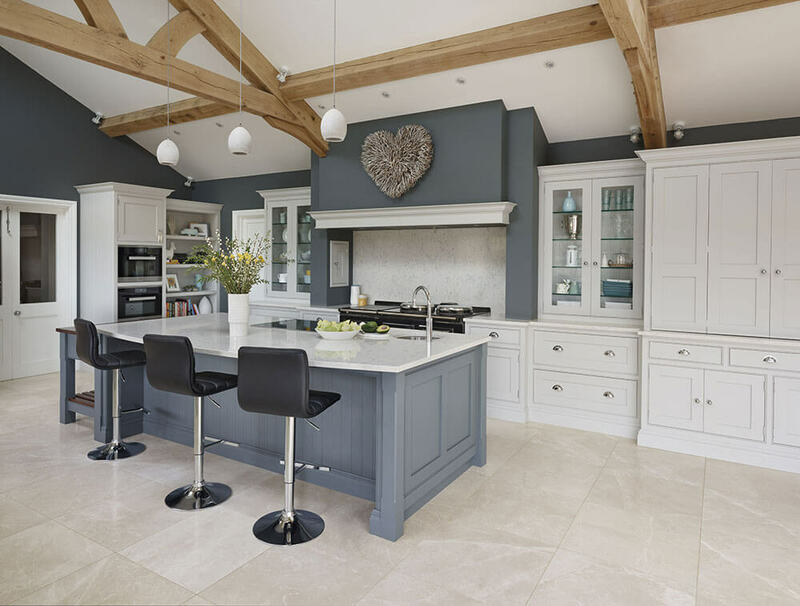 It can enhance your kitchen’s style and then when combined correctly, colour can even create a sense of space and highlight details such as original tiles or open shelving. 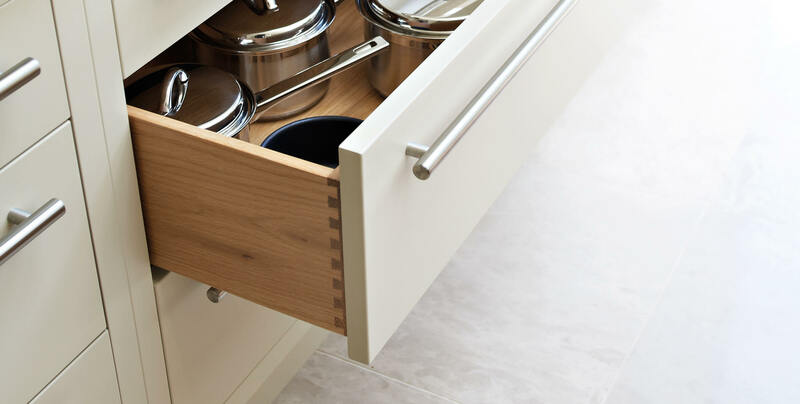 While the underlying philosophy of Tom Howley kitchens will never change, our carefully considered colour palette is collated after extensive research by our team. 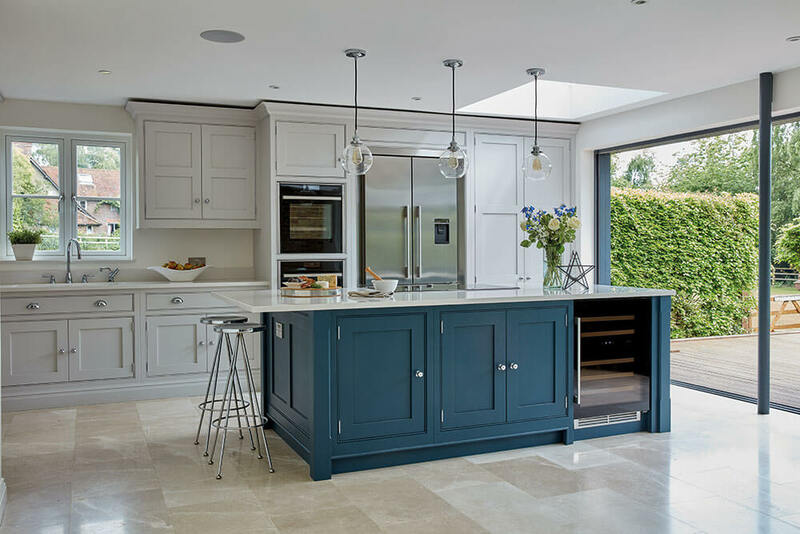 Our kitchen furniture and cabinetry is a true homage to classic craftsmanship and enduring quality, but our paint colours develop organically to ride the waves of colour trends in the broader interiors industry. By working with our experienced designers, you can create something unique to your space, your personal needs and individual style. 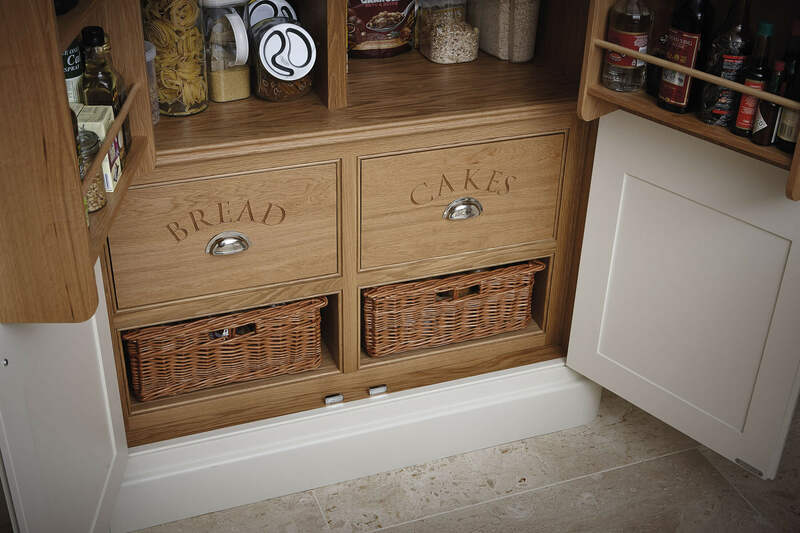 Our designs are an ingenious marriage of classic style and modern features. Grey kitchens are known to stand the test of time. Instead of looking cold and harsh, they can be warm, light, and sophisticated. For example, deep charcoal can look rich and moody, while Dewberry is a fresh, contemporary choice that brings traditional styles into the moment. To breathe life into darker, more compact spaces, Tansy is a light and lively shade of grey that also works well with muted or vibrant tones such as our navy, Lithadora. 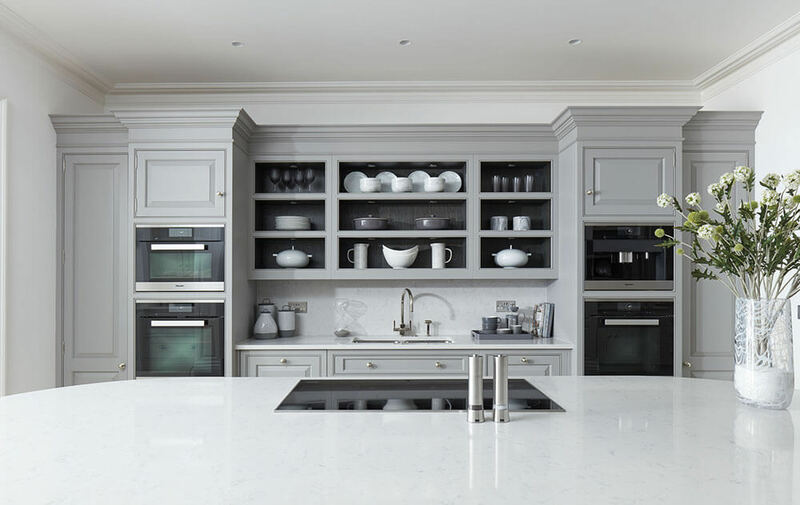 We blend our unique grey paint colours and then assess where they work best before committing a single brushstroke to your cabinetry. 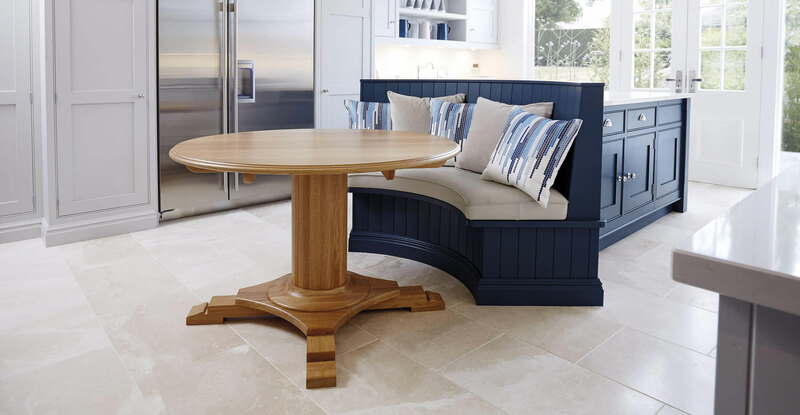 We look at where natural light comes into the room, consider the style of furniture that you’ve chosen and discuss where features or statement pieces of furniture will sit. 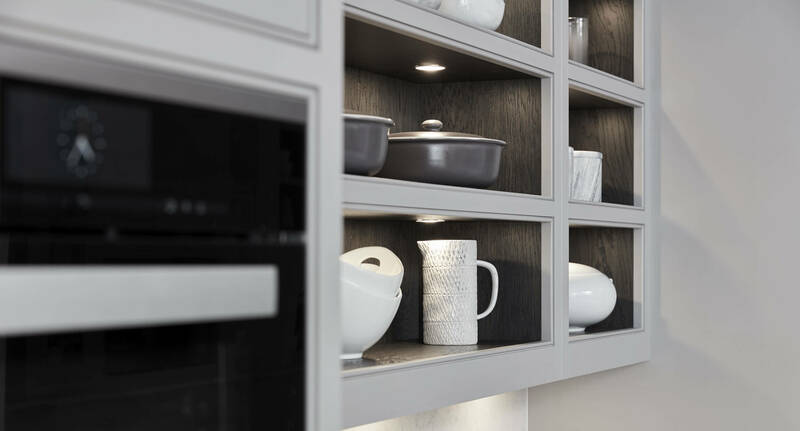 You may want to create a focal point or contrast using a different paint colour, or if your kitchen is open plan and leads into another room, we’ll take a look at the interior décor in that space to ensure a seamless transition from one room into the next. The correct shade of grey in a gloomy corner can be transformational. This spacious kitchen design allows our client to cook and socialise around the central island. 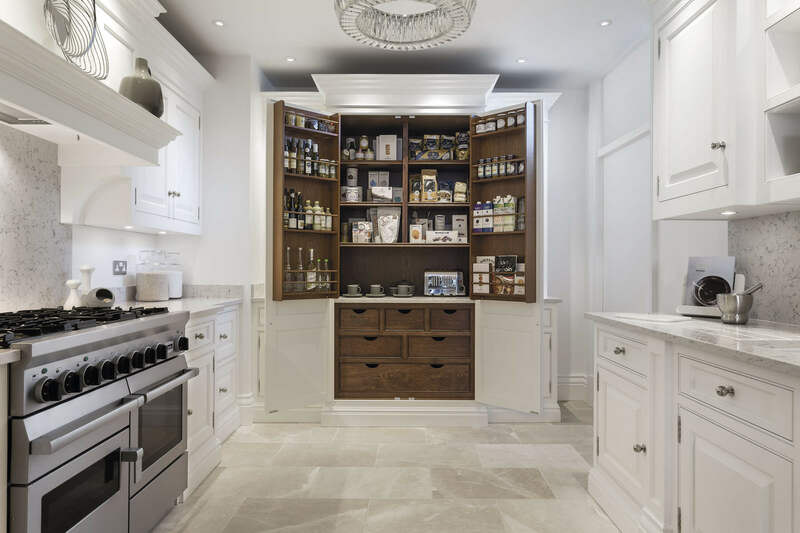 The cabinetry is painted in our soft, warm grey paint colour Thistle, while the island is hand-painted in our contemporary grey, Dewberry. A strong contrast of light and dark can sometimes make a room feel smaller, to balance the design and keep the room feeling spacious add neutral light surfaces and flooring to create a harmonious look and feel. To create contrast the cabinetry is painted in our light, uplifting colour Orchid and the island in Marjoram, a beautiful warm grey. This Hartford kitchen is classic and symmetrical in its design. Using a neutral palette softens the overall look forming a calm and peaceful atmosphere that’s perfect in a versatile living space like this. 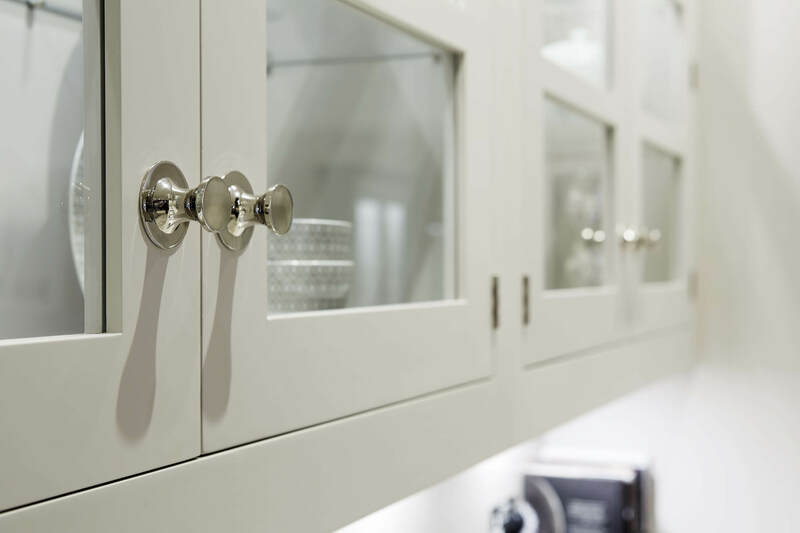 Beautifully understated and timeless, our paint colour Tansy creates the perfect balance of light and space. If you’re struggling to find the ideal colour for pairing with pale greys, dark navy can act as a subtle substitute to neutrals adding depth and visual interest without overpowering the room. 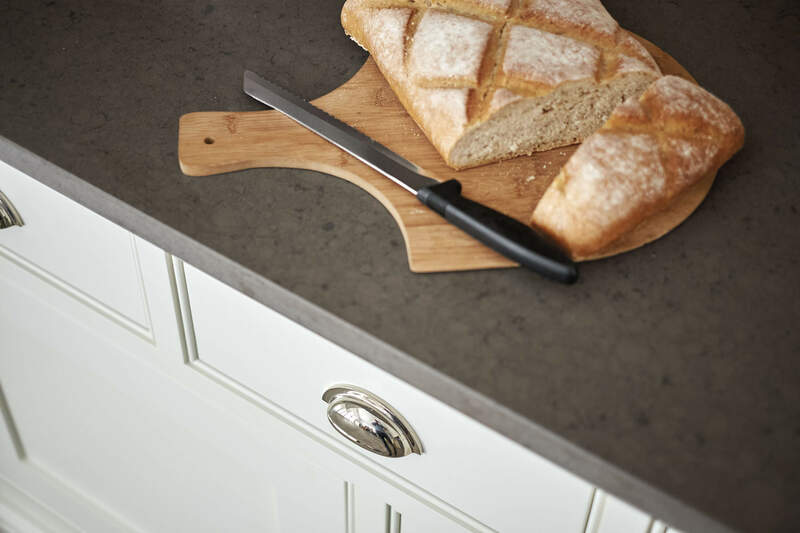 Our bespoke colour Chicory creates a contemporary yet timeless look in any kitchen. 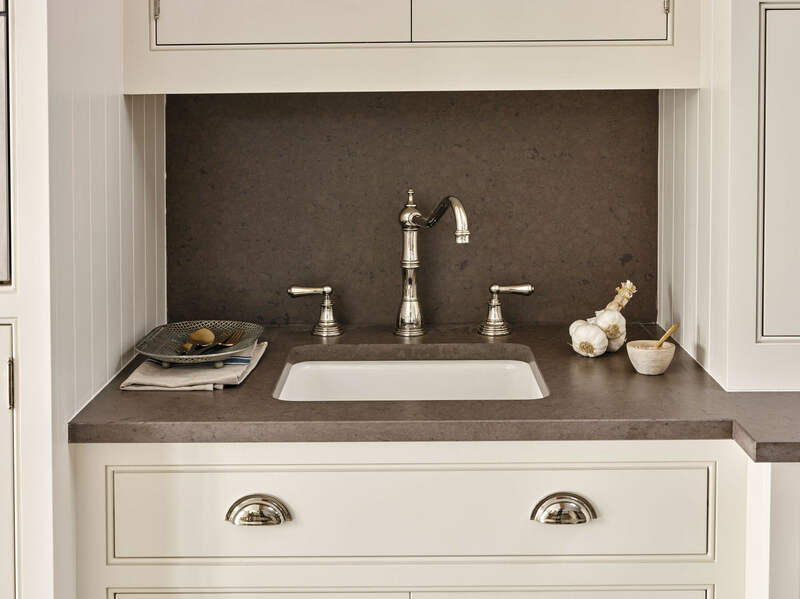 This serene shade of grey works in unity with rich dark oak accents and white Silestone Yukon. The colour grey can sometimes be overlooked and perceived to be cold and harsh. If you’re worried about a space feeling vacant and cool, choose warmer hues and pair them with natural wood finishes giving the room a captivating sense of warmth and depth. 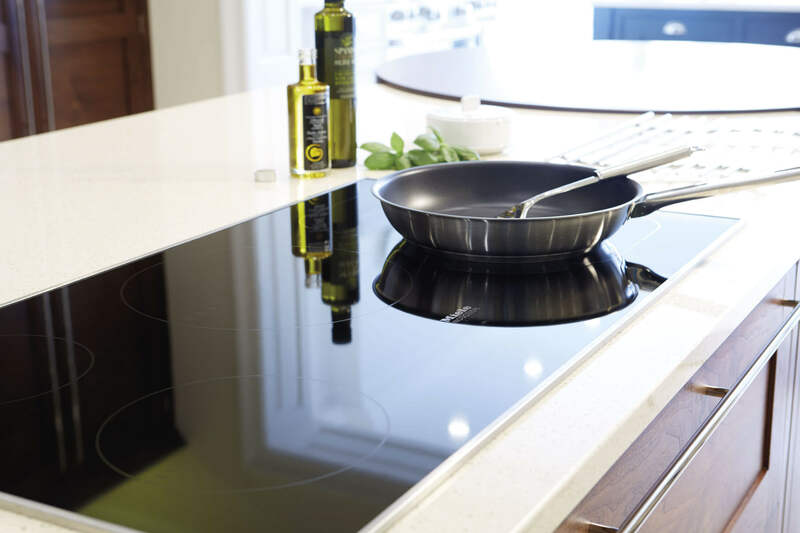 For more information about our stunning kitchen designs request a free 2019 brochure today or visit your nearest showroom to experience the quality craftsmanship that goes into every kitchen.